This vessel joins the “international” fleet. The crew numbers 24. To this figure must be added three Officer Cadets. 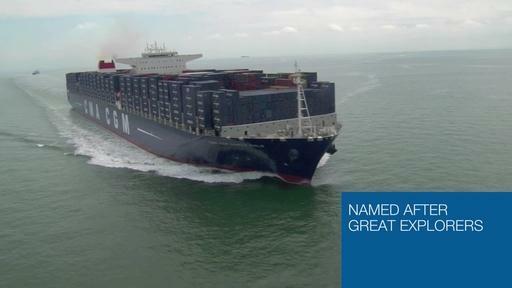 For this exceptionally large vessel, the navigating officers were chosen based on their experience gained on the CMA CGM Group’s other big vessels (13,800 and 11,400 TEUs). “To best prepare our officers to operate this giant of the seas, they have undertaken specific training on manoeuvring the ship.